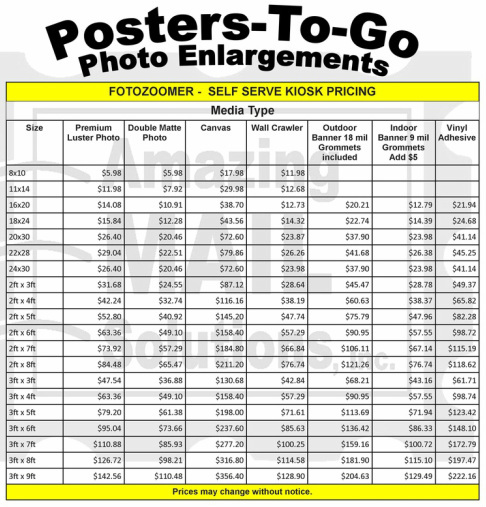 8” x 10” to 36” x 120” are pre-loaded as choices in FotoZoomer. Choose a preloaded size or create a custom-sized print. add a border from our library of borders for every occasion. for preservation of your most treasured prints ask us about custom framing. Ask about our multiple item discounts.